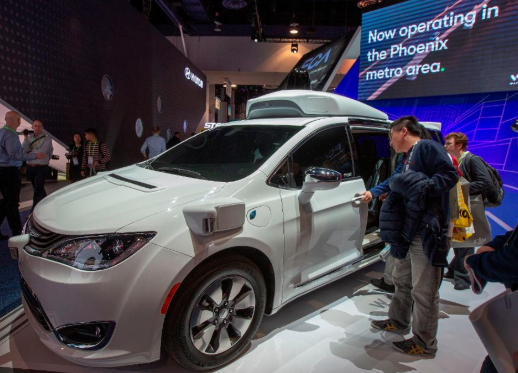 A month into a low-key public rollout out of its robo-taxi ride service in Phoenix, Waymo said it plans to set up an assembly facility in Michigan to manufacture self-driving vehicles for its fast-growing fleet. The Alphabet Inc. unit, formerly the Google Self-Driving Car Project, said in a blog post last week that it got approval from the Michigan Economic Development Corp. to set up the factory in Southeast Michigan. The Silicon Valley-based company didn’t provide details on the timing and size of the project that it said will be the “world’s first factory 100%-dedicated to the mass production of L4 autonomous vehicles. Waymo will first identify a facility in Southeast Michigan and, over the next few years, aim to create hundreds of local jobs in the community. They will be looking for engineers, operations experts, and fleet coordinators to join their team and help assemble and deploy the self-driving cars. The company needs a large-scale facility to modify tens of thousands of Chrysler Pacifica Hybrid minivans from Fiat Chrysler and I-Pace electric SUVs from Jaguar Land Rover that it will be adding to its fleet over the next few years. Those vehicles will need significant modification.